Under new ownership, Small Ship Adventure Company and Alaska Bound are set to launch several products in the local market. THE sale of Small Ship Adventure Company and Alaska Bound to Asia Pacific Travel Marketing Services (APTMS), announced yesterday, will see an expansion of agent services and a wider range of cruise packages for Australian clients. Suzannah Cowley, the company’s new sales and marketing director, told CW that one of the most exciting developments would be Zegrahm Expeditions’ entry into Australia next year. For the first time, Zegrahm’s expanded fleet of vessels will primarily circle the Pacific Rim and offer voyages in the Kimberley, as well as Tasmania, New Zealand and the sub-Antarctic islands, Vietnam and Cambodia, Indonesia and Borneo, Japan and South Korea, and Melanesia and Micronesia. The company also recently signed up Australian-owned North Star Cruises, which operates the adventure vessel True North. Other new options include Eastern Canada, small coach touring added to Alaskan cruises, and the Rocky Mountaineer train packaged with more small ships. “Our 100% dedication to small ships won’t change – it’s business as normal but with an expanded service,” Cowley said. 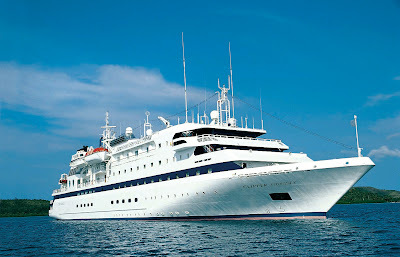 The acquisition will allow Small Ship Adventure Co and Alaska Bound to improve services for travel agents, Cowley said. “As we shift into the online market, we need more expertise, and Asia Pacific has the resources for us to establish better agent support and marketing. The move also sees the farewell of the company’s popular founder, Maryann Anderson. Due to family matters, Anderson has decided to “slow down”, Cowley said. Agents can post their personal messages on a Facebook page set up this week: ‘Maryann Anderson - Travel Industry Farewell’.